A heavy duty, high specification open frame tape designed for the professional user. The impact resistant ABS frame has a handy integral ground spike, plus a tough, high impact polymer centre with low friction bearing, which offers a smooth rewind action. 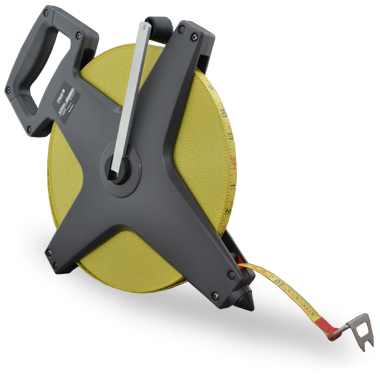 The fibreglass tape version of the Pacer is available with a 100m blade, in PVC coated fibreglass, accurate to EC Class II. 13mm PVC overcoated fibreglass blade, accurate to EC Class II.